The network TV reboot of ’80s soap Dynasty will stream here on Netflix. It’s the latest deal Netflix has done with The CW network, after landing another of its shows, Riverdale, earlier this year. Deadline Hollywood reports the streaming giant was involved early in Dynasty’s genesis because of its global appeal and serialised storytelling, making it “a great fit for international distribution on a streaming platform”. Dynasty is a CBS Studios International production, and the second revival of a primetime hit that Netflix has acquired from the producer — the other being Star Trek: Discovery. The latter will launch on the CBS network’s streaming service, CBS All Access, and will be available in 188 Netflix markets within 24 hours of its US premiere. Deadline Hollywood says Dynasty will premiere around the world on October 11. Netflix in NZ has become a platform for a number of US network series that once might have aired free-to-air here, including Frequency and Designated Survivor. 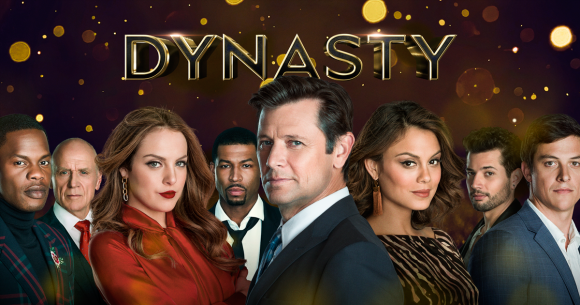 As for Dynasty, it was developed by Gossip Girl creators Josh Schwartz and Stephanie Savage, and stars Elizabeth Gillies, Grant Show, James Mackay and Nathalie Kelley. IndieWire said the trailer “makes the relaunch of the iconic ’80s franchise look like basically any other ‘rich people behaving badly’ trailer … though the addition of literal catfighting does put it a step ahead of shows like Big Little Lies and Gossip Girl — Reese Witherspoon never ripped off anyone’s wig (but she totally could of). “A few major plot points do get spoiled along the way, so this is definitely not a trailer to watch if you want to avoid twists. But Elizabeth Gilles gets to shine as Fallon Carrington, and Nathalie Kelley as new rival/step-mother Krystle Carrington looks to be a likely match. Wow, yet another show falls outside of its output deal and now bypasses its free-to-air channel premiere. This is starting to become trend now and I dislike having to pay for otherwise free content. What dictates free content, Leo? This reboot would likely have not been even shown in NZ, you’d have to think. The show was initially bound for Prime through its CBS output deal. By free I was referring to this, as all out put deal shows typically end up on their designated free to air channel which it has the agreement ie Warner Bros & Disney ABC shows end up on TVNZ through their exclusive output deal. I think Prime would have jumped at the chance to show this reboot considering its legacy, even if it does not live up to its original, fits in with the 25-54 demo Prime is chasing. FTA is such a misnomer. Leo, you mean that you’d prefer someone else paid for you to be able to watch it (ad-funded) rather than choosing to pay for the content directly yourself. Given the absence of advertising in some slots (vs network promos) the economics of ad-funded content acquisition is clearly becoming more and more difficult. It doesnt bode well for those that believe that content is broadcast for free.